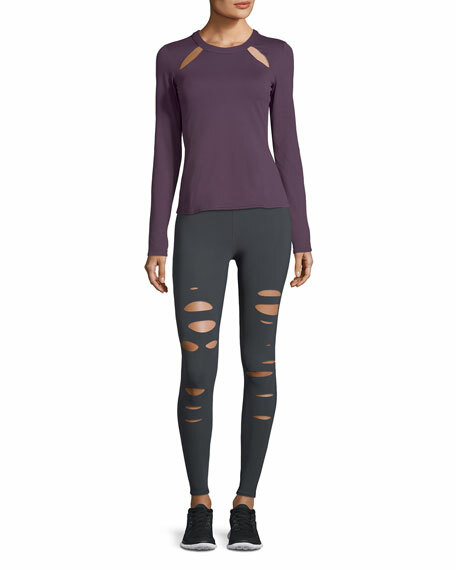 Alo Yoga "Warrior" performance leggings/compression tights with ripped details. Approx. inseam: 27.5" (XXS) to 28.5" (size M). Moisture-wicking, anti-microbial sculpting knit with four-way stretch. Flat-locked seaming and gusset lining for comfort. Wide band sits high on waist. 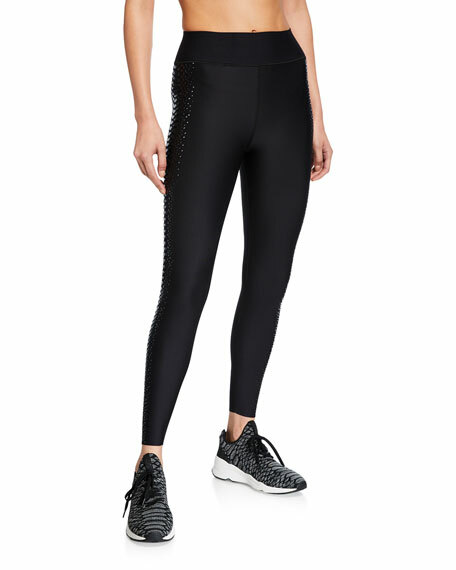 Ultracor "Ultra High Havana" printed leggings with slash details down the sides. Silky breathable performance fabric. Built-in shapewear provides instant lift. High-rise waistband. Second-skin fit. Pull-on style. Ankle length. Polyester/nylon/Lycra spandex. Made in USA of imported material. 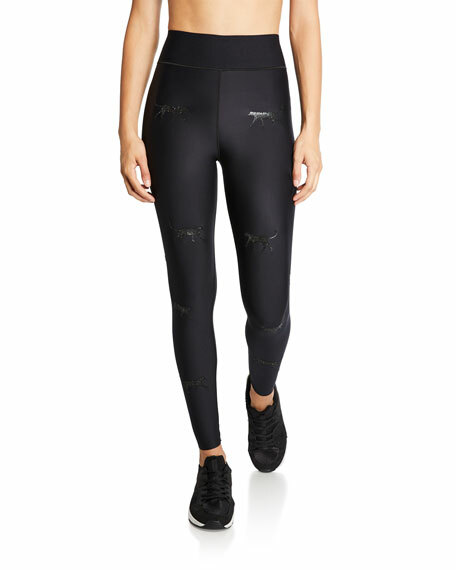 Ultracor "Ultra High" leggings with Swarovski crystal panther motif. Silky breathable performance fabric. Built-in shapewear provides instant lift. High rise. Second-skin fit. Pull-on style. Ankle length. Nylon/Lycra spandex. Made in USA of imported material.